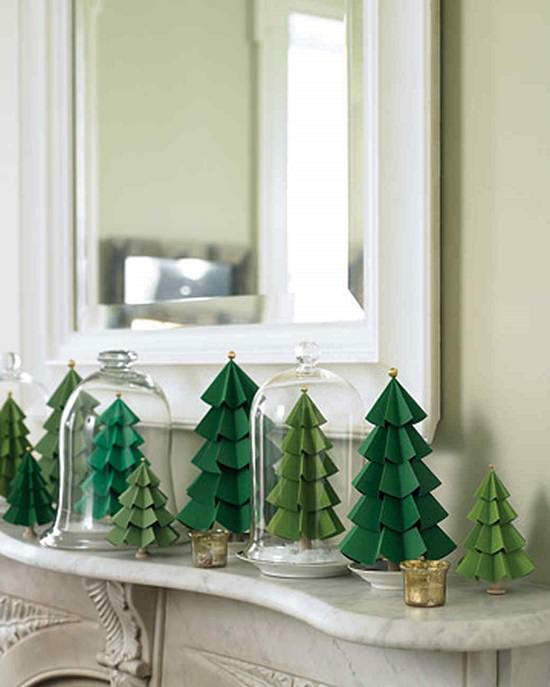 These fun and creative DIY Paper Craft Ideas are perfect for most ages. Read on to find out some easy ideas that you can try with your kids! 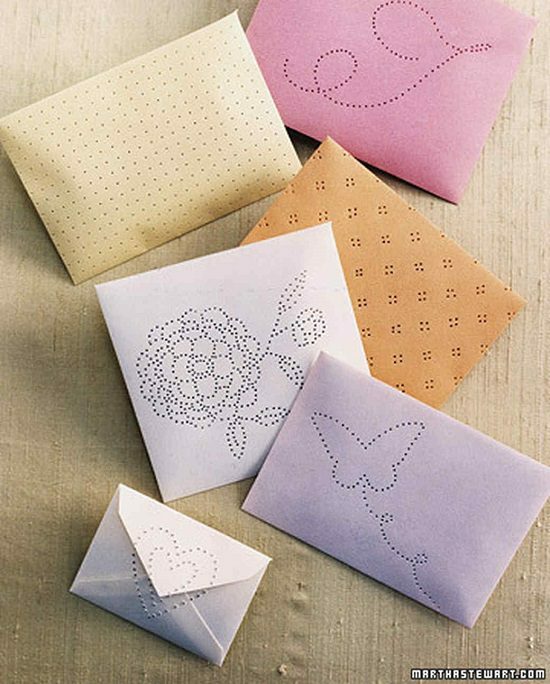 Made by embellishing and punching envelopes at strategic points, this paper craft idea shows you how to make sachets in a jiffy. You can even punch initials or emoticons for a personalized touch. 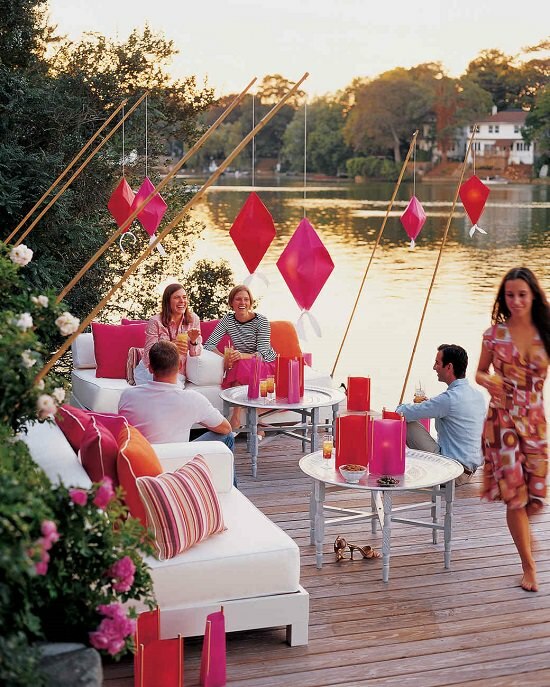 Spruce up the deck with these Orient-inspired lanterns to lend a beautiful contrast with the setting sun at the evening party. Here’s the DIY. 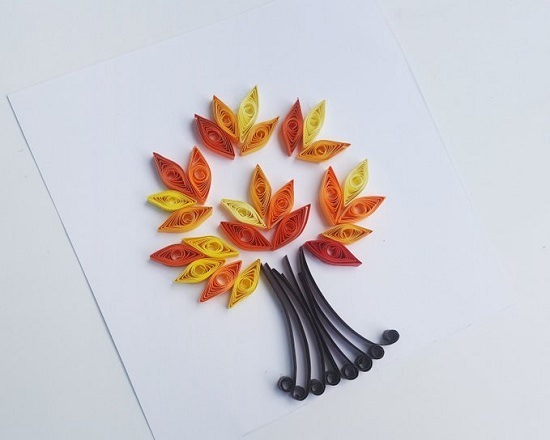 Recreate the colors of fall foliage on paper with this easy, entry-level quilling project. Find instructions here. These zig-zag flower vases are a fitting companion for your paper flowers for a lightweight table decoration that can be moved at whim to any part of the house. Watch the video for complete instructions. An apt craft to kickstart the fall season with, this DIY is a nice way for preschoolers to learn the basics of cutting paper into designs. Get the details here. 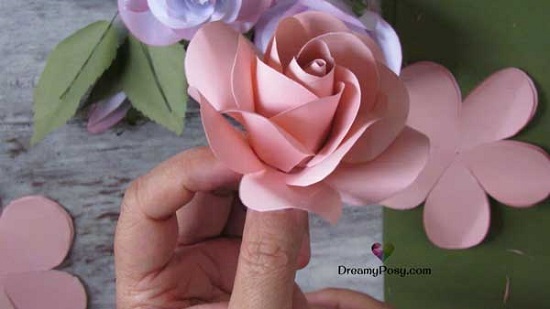 If you’re looking for a simple way to make realistic paper roses that don’t fall apart at the slightest touch, this is the DIY for you. This DIY is an example of how things that look daunting at first may turn out to be refreshingly simple and rewarding to do later on. Find the steps here. 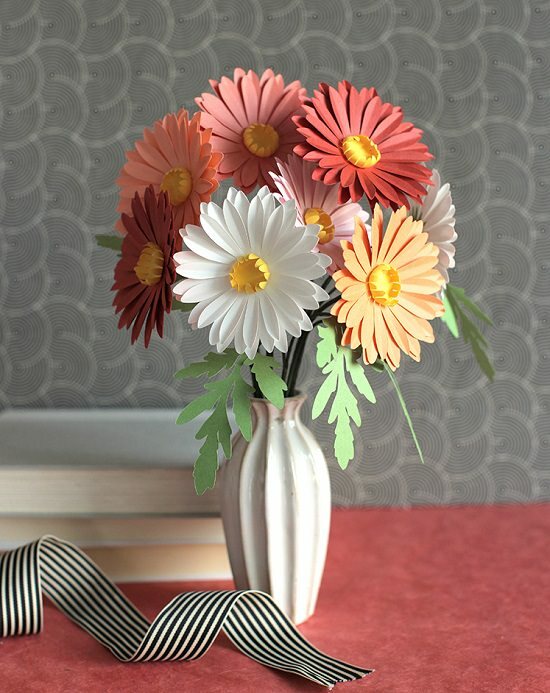 If ephemeral flowers overwhelm you with their maintenance needs, consider going the DIY way to create these paper daisies that entail a lucid design that is easy to mimic for any number of petals. Get the instructions here. 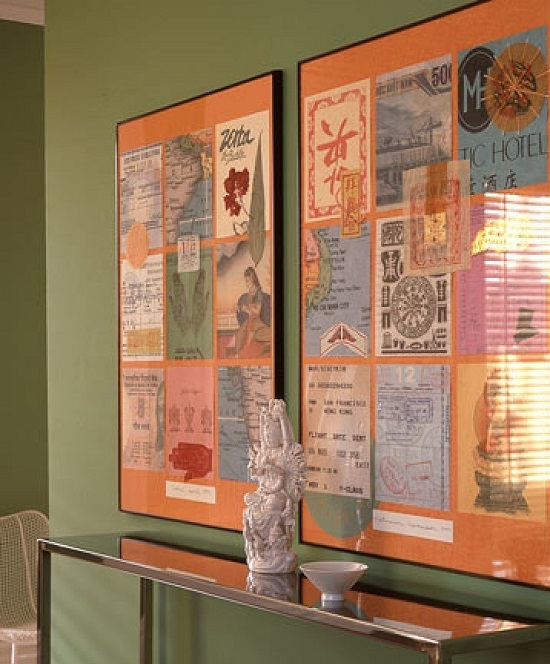 For a one-of-a-kind wall display, create this visual schematic of your travel itineraries and memories that have a life of their own. Follow the DIY here. 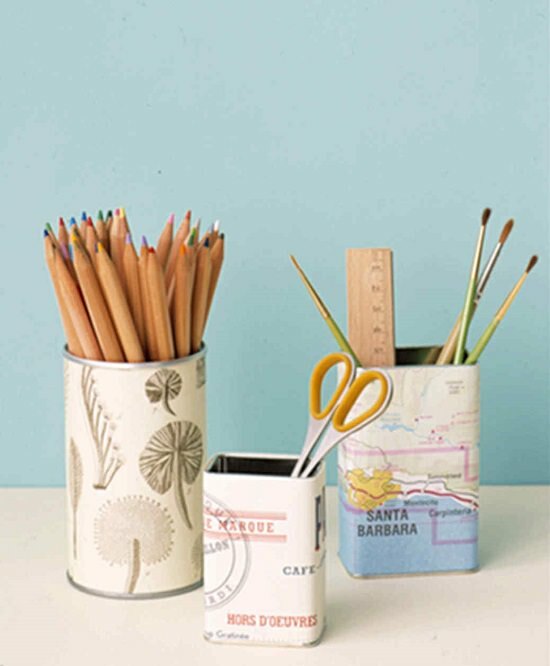 Preserve old maps or vacation memorabilia like bills or menus by using them to refurbish old tin can holders. Get the DIY here. 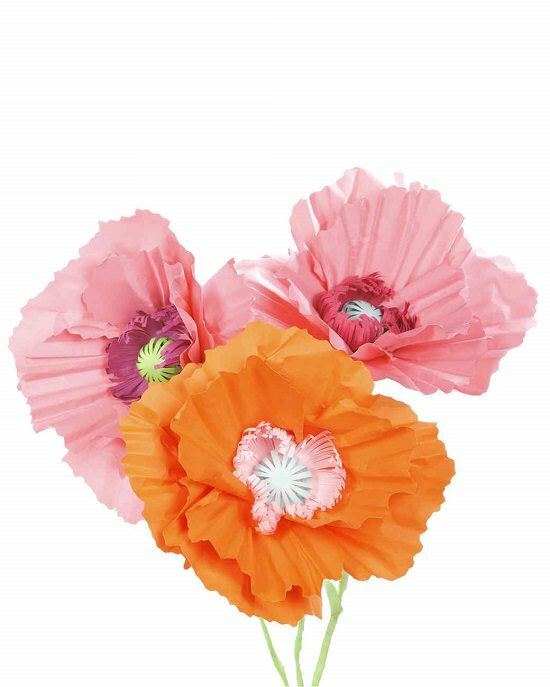 Perfect as permanent vase fillers, these lifelike poppy flowers add a splash of color to the table and take nothing to maintain. Get the DIY here. 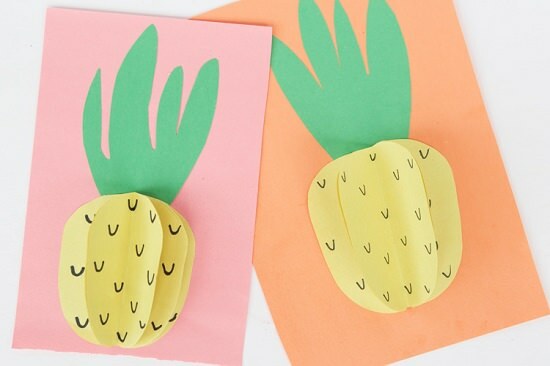 One of the cutest summer crafts you’ll see in this list, these 3D pineapples are easy to create and make colorful additions to greeting cards and porch banners. Follow the instructions here. 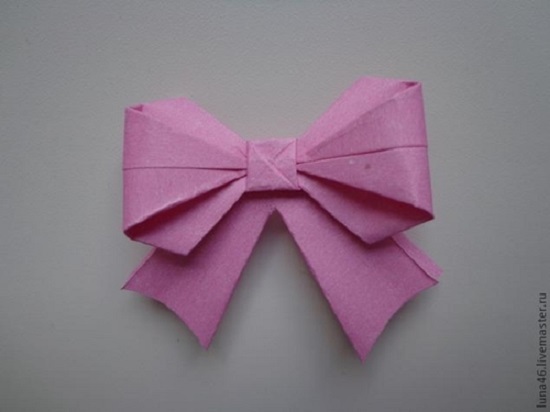 Once you learn how to create this easy origami bow, you’ll never have to wrack your brains on wrapping gifts in a fancy way. Get the tutorial here. 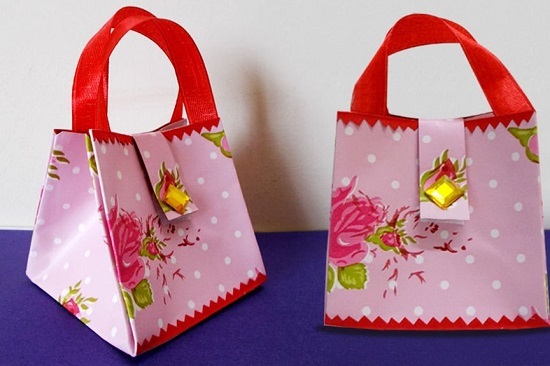 Speaking of fancy gift wrapping, take it up a notch and package your gift in these pretty paper bags that are, to be honest, perfect as standalone presents as well. Here’s the DIY. 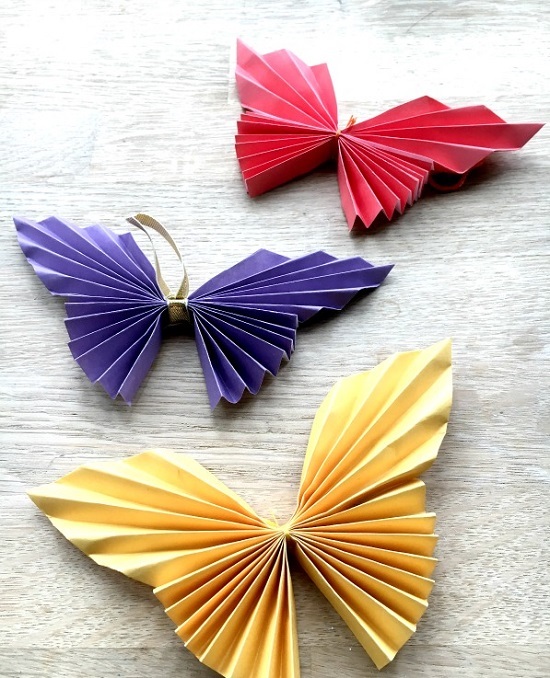 Paper butterflies are a cinch to make and easy ways to liven up empty walls without investing in expensive murals. Follow the instructions here. Whether you want to decorate for a baby shower using DIY stuff, or are looking to create something personalized for a friend, this tutorial gets you started on the basics of using Cricut for making custom designs. 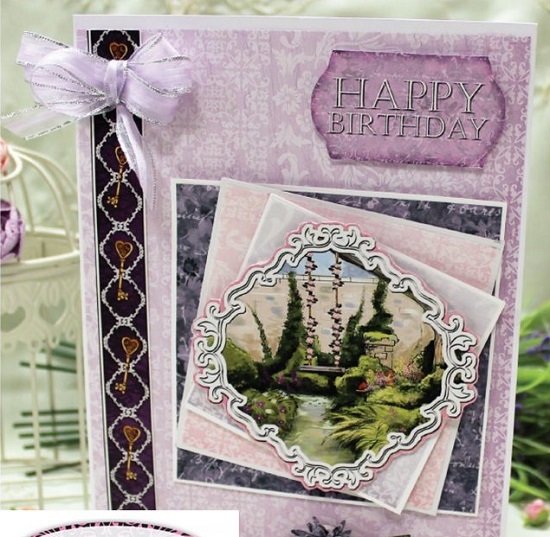 This beautiful garden card with its flower-pressed elements and bright green colors is too pretty to be given as a gift- consider framing it for yourself. Here’s the DIY. 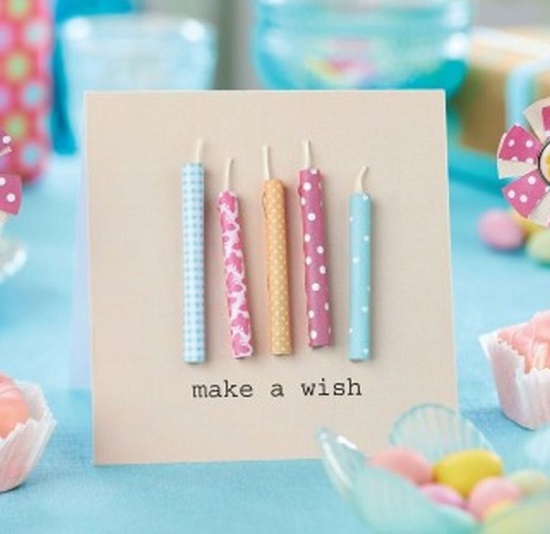 Add a personal touch to storebought birthday presents with this cute card DIY involving pieces of colored paper leftover from previous endeavors. 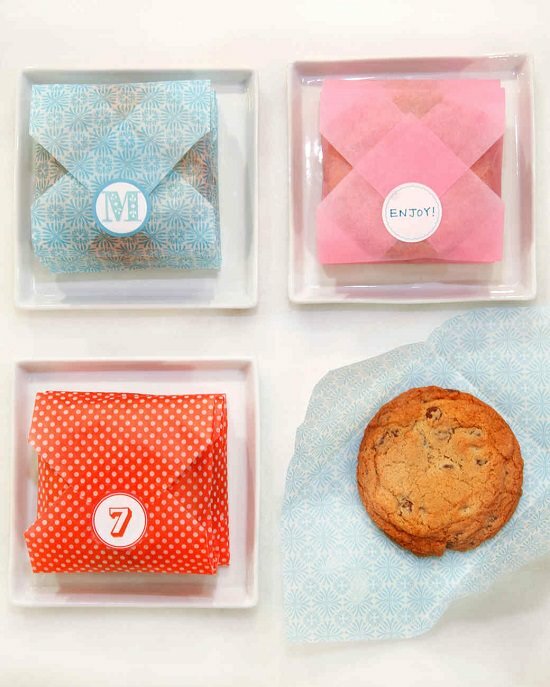 Make an ordinary get-together fancy by serving delicious cookies wrapped in cool paper envelopes that are easy to make as well. Follow the instructions here. 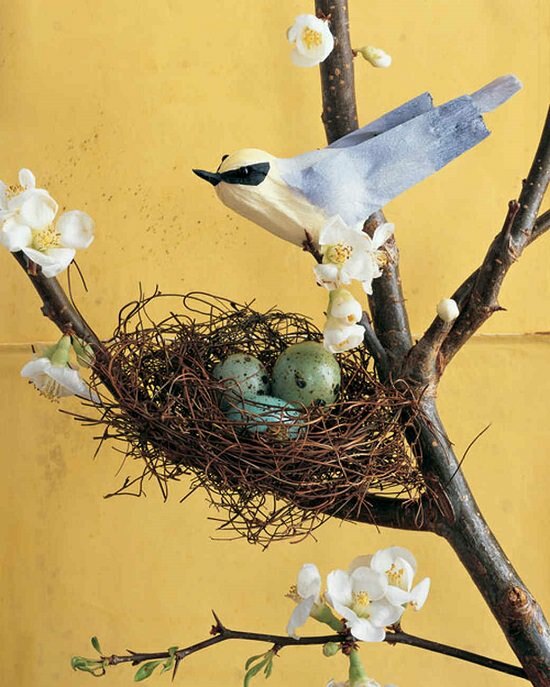 Make your living room spring-ready with this easy, outdoorsy ode to Mother Nature. Replacing the dyed quail eggs with Easter eggs is an excellent idea. See the tutorial here. 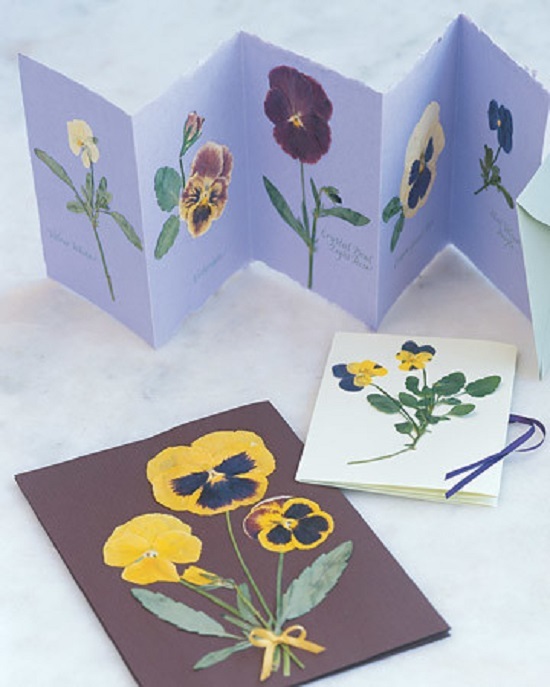 Applying pressed pansies onto colored paper and matching envelopes is a dirt-cheap way to make customized cards at the drop of a hat. Check out the DIY here. Ideal for displaying on walls and desks alike, this lightweight photo frame made from a single piece of paper is easy to personalize, making it a cool alternative to regular greeting cards. Follow the instructions here. With easy twists and turns of paper, you can create these chic toyhouses that are durable to stand on their own and hold their ground. Get the details here. 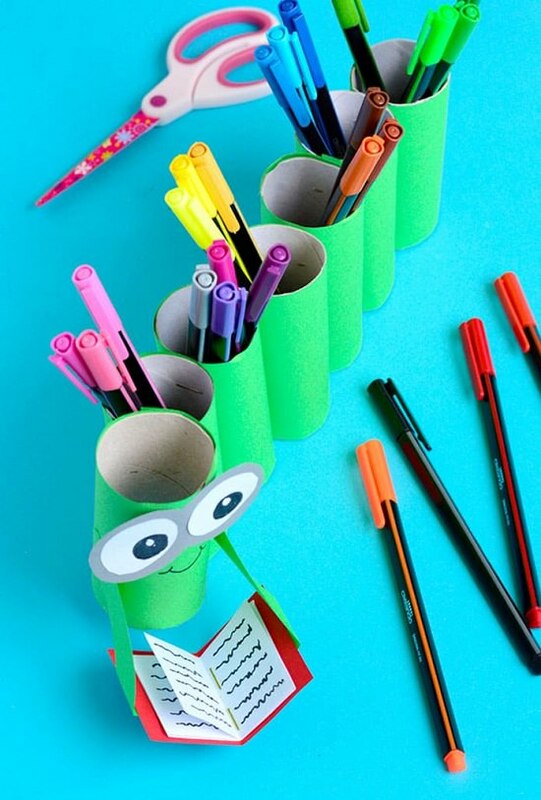 Whether you want to add a colorful twist to a boring desk or just trick your kids into arranging their supplies, this genius DIY has got you covered with its far-reaching benefits. Get the tutorial here. 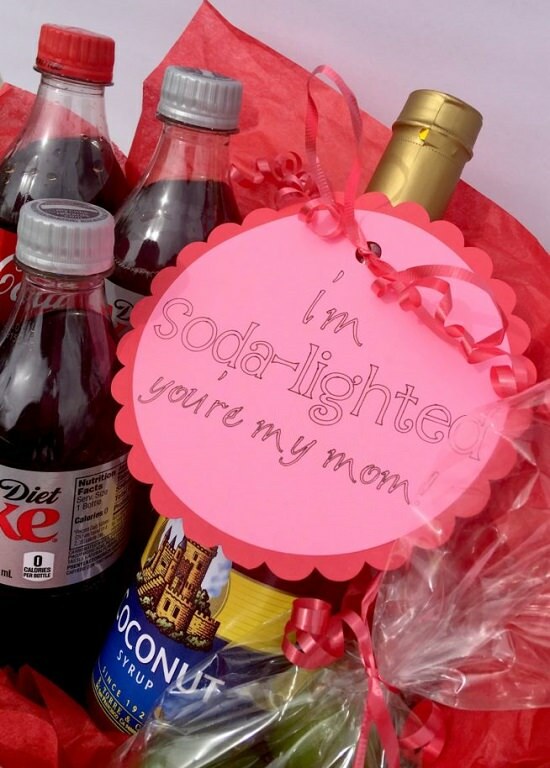 Sometimes when it comes to acknowledging the most important woman in your life, a heartfelt tag matters more than diamonds. This DIY shows you how to make one. If the thought of maintaining a living breathing terrarium sends off your alarm system ringing, consider making these paper versions that add an equal amount of color and take nothing to maintain. Follow the instructions here. This DIY will urge you to look at old colorful bags with newfound glee because if you think about it, they really make wonderful starting materials for making ornamental flowers for the entryway. 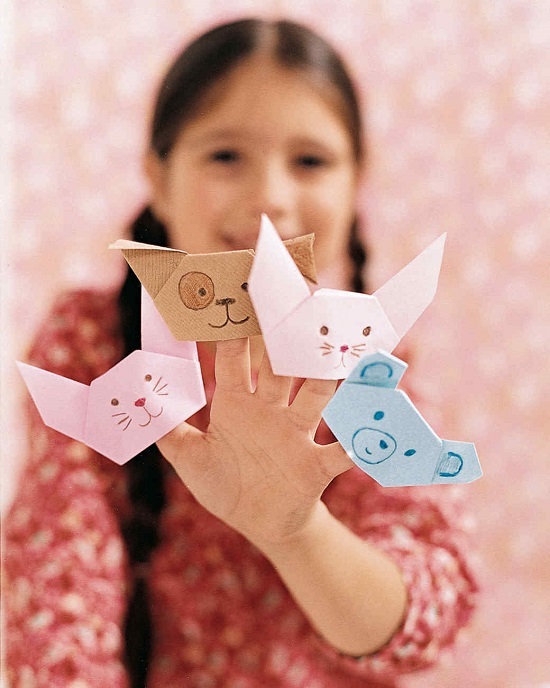 Made from paper napkins, these origami animals are easy to whip up and a fun activity for the kid’s party. Get the DIY here. 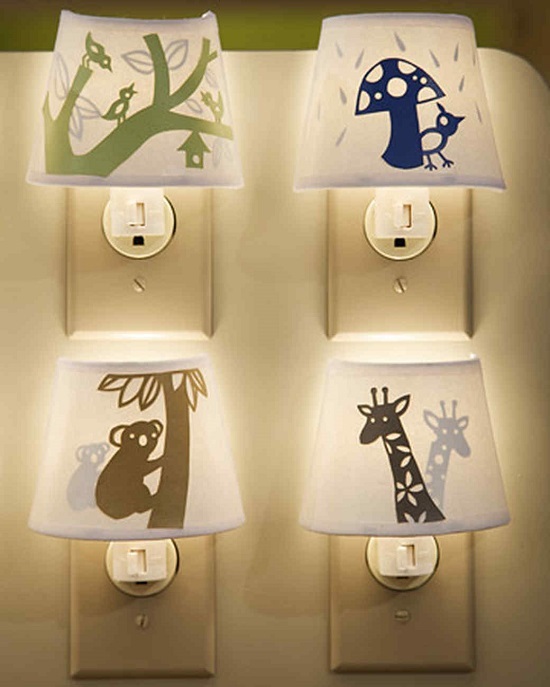 These beautiful bedside lights with their cute children-themed cutouts are a practical addition to the kid’s bedroom. Follow the steps here. 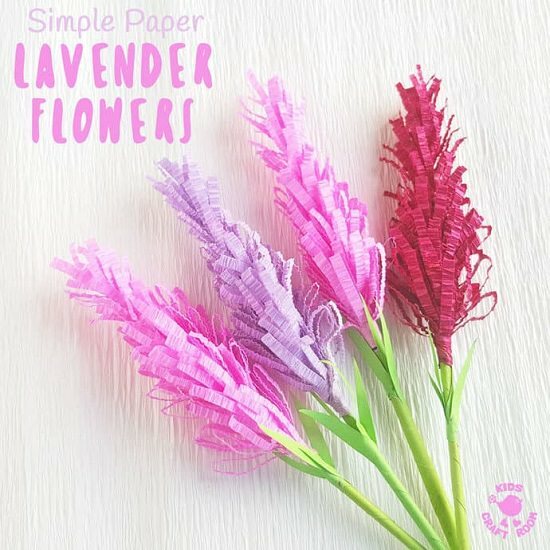 Perfect as card decoration or porch display, lavender flower mimics are a nice way to enjoy the gorgeous fragrance and color of these flowers all year-round. Get the DIY here. Sticking paintings on the fridge is not the only way to preserve your child’s art. 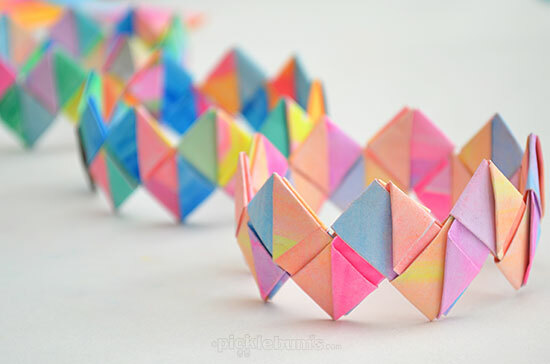 Consider fashioning them into these cute intricate bracelets that also give them something to do over the weekend. Get the instructions here. Add glam and focus to the top of the Christmas tree with a giant glitter paper folded at strategic points, or if you don’t mind the hard work, use silver paper to create a flurry of smaller, snowflake-shaped ones. Get the DIY here. 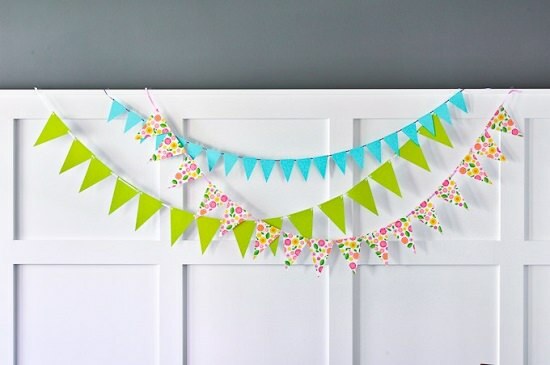 With a gorgeous Cricut design that suits every occasion, this front door banner is super easy to customize by adding letters to the pennants or adding images for impact. Follow the instructions here. An excellent example of the wonders of paper, these lifelike chestnut leaves add a touch of nature to the coffee table without needing an iota of care. Check out the DIY here. 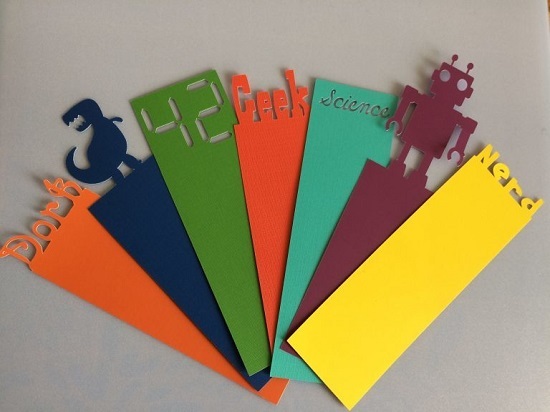 For the self-confessed geek who takes pride in their book collection, these cheeky bookmarks are the ultimate paper craft to do over the weekend. Follow the DIY here. Using a styrofoam wreath base and a little help of Cricut, this DIYer created a bright front door decoration would bring cheer to the home all year-round. 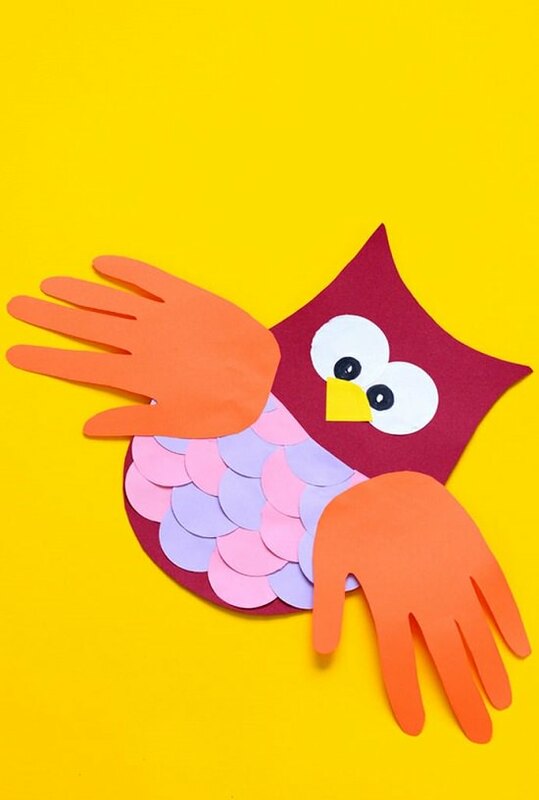 This addictive paper craft will have your kids making troops after troops of adorable woodland creatures and mimicking their voices to get by lazy afternoons. See the steps here. 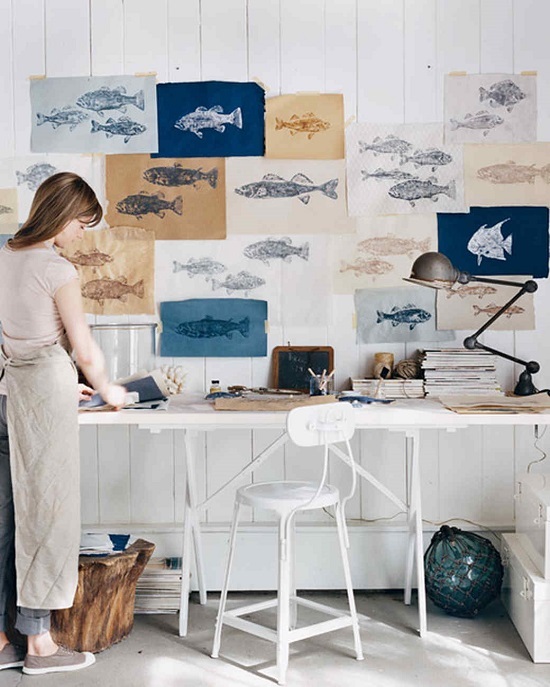 Delicate rice paper imprinted with ink in the shape of a fish offer fun ways to commemorate memories from a summer holiday. Get the DIY here. 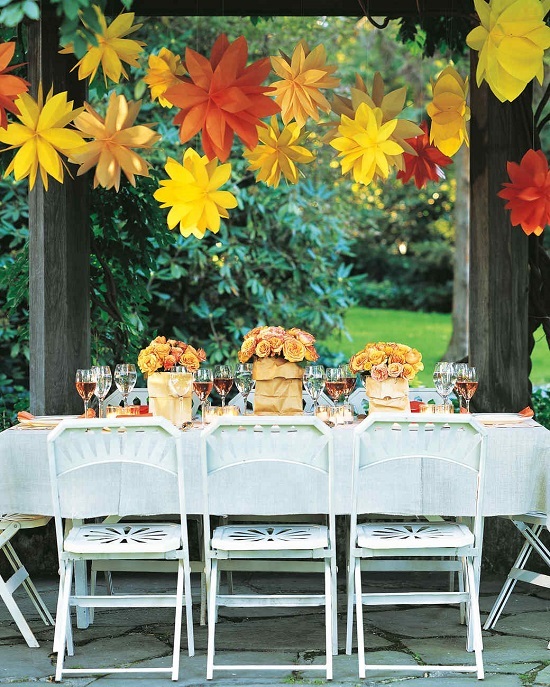 Embellished paper fans are fun props to bring color and comfort to an outdoor party. Get the details here. 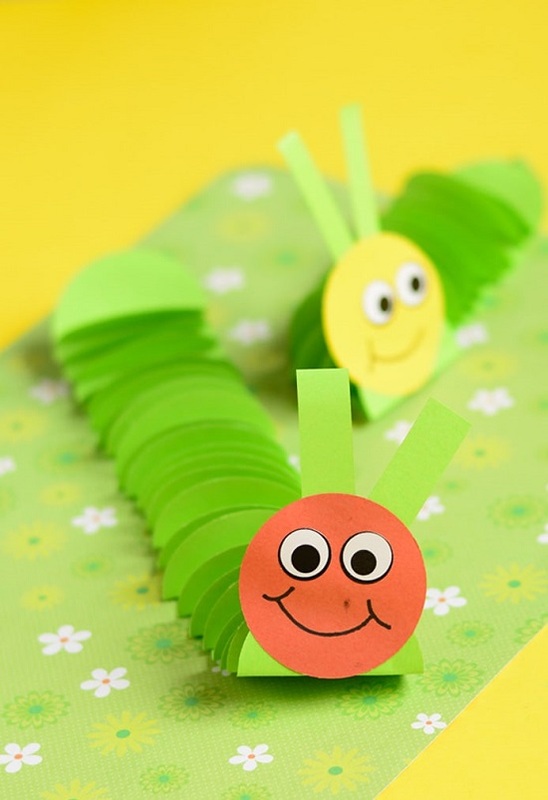 This DIY includes the two things kids love-punching machine and a cute bug design, so you know we have a winner here. 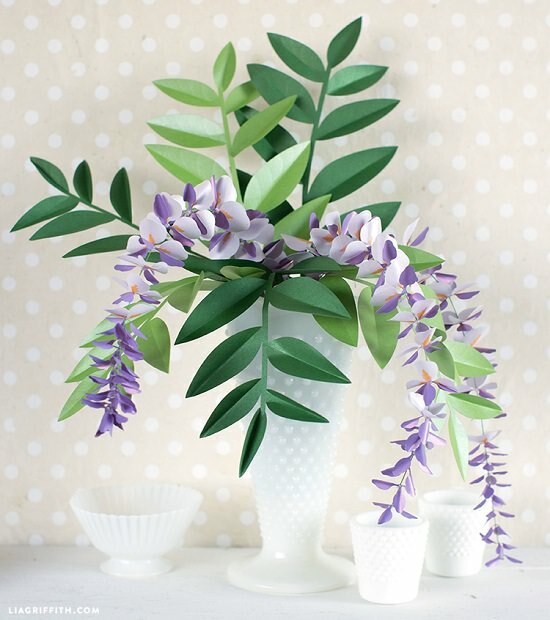 This DIY paper flower wreath is sure to brighten up your interior. 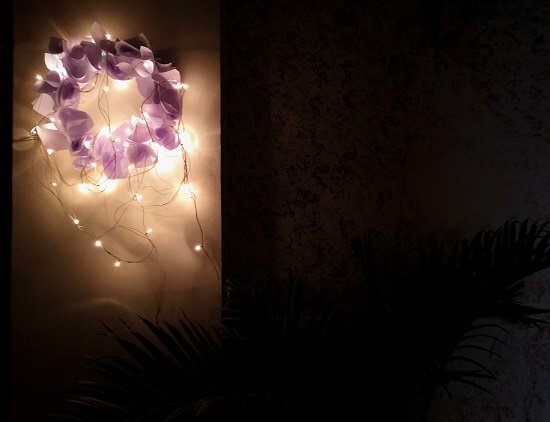 All you need is a string light and a few other basic supplies for this easy project. 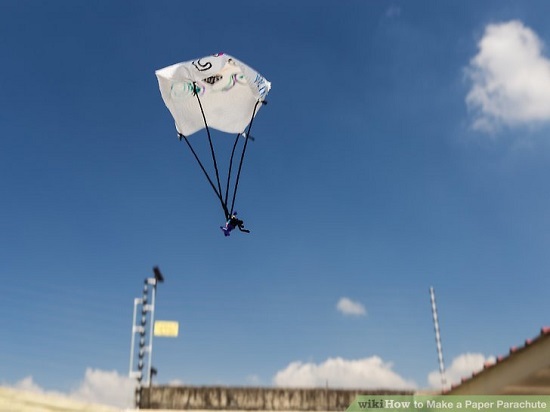 Made from garbage bags and tissue paper, these paper parachutes are fun to launch from high up the ground and stay afloat in the air for quite sometime before crashing down. 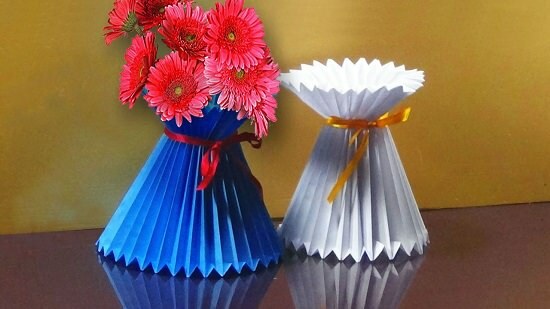 Make them with this DIY. 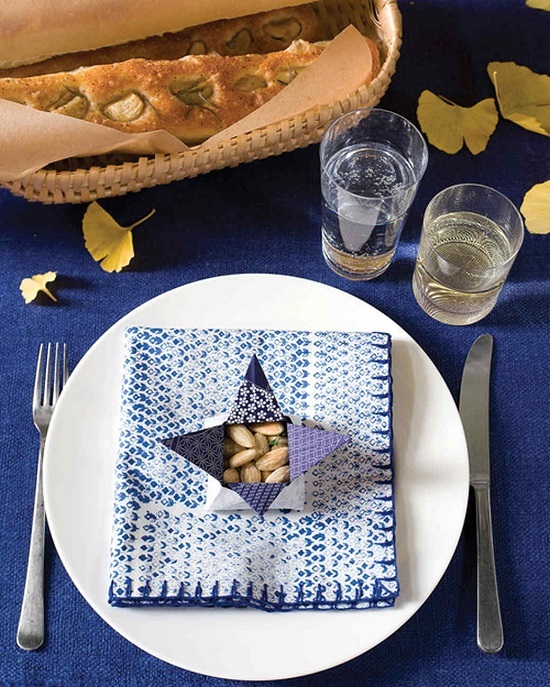 Serving snacks in tiny paper containers add an eco-friendly vibe to the dinner party and even helps in controlling portion size. Get the details here. If you want to recreate the Oriental charm of China Town in your humble walkway, these paper bag luminaries with their fiery colors is a good way to start. Here is the DIY. 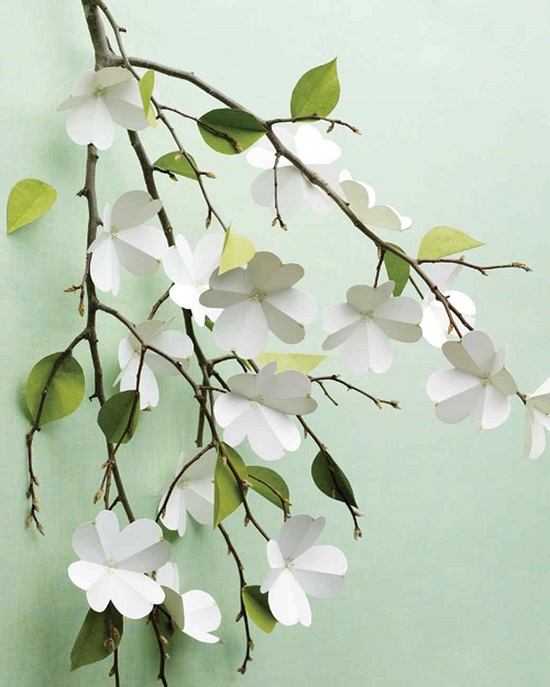 Paper dogwood flowers are a welcome addition to a winter-riddled garden as they need nothing to maintain and offer color year-round. Get the tutorial here.